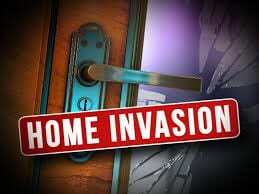 Preliminary report in regarding a domestic home invasion which occurred on the evening of Tuesday, November 6th. Gilmer County Sheriff’s office assisted by Ellijay Police Department responded to a domestic related, attempted home invasion in the western portion of Gilmer County. Officers approaching the scene were met with an armed suspect. Multiple shots were fired. The suspect has been transported to an area hospital. No officers were injured. The GBI is conducting an investigation at the request of the Sheriff’s office. FetchYourNews will update as additional details become available.